Two circles are touching at a point and there is a line tangent to both circles. There is a smaller circle inscribed into the space between the two circles and touching the line. 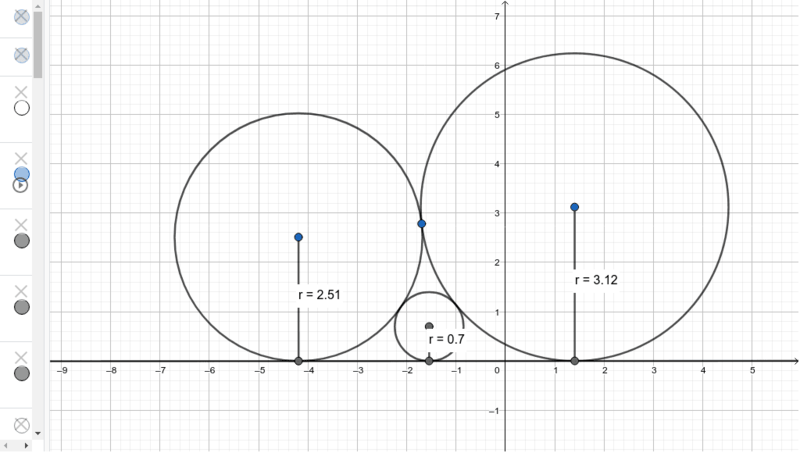 How does the radius of the smaller circle depend on the radii of the two larger ones?